Around 10 years ago, this recommendation was almost guaranteed to be delivered directly from one person to another, either in-person or over a phone conversation. Now, that recommendation is much more likely to happen online. Whether coming from a direct friend, a peer or a total stranger, these reviews send strong signals to consumers looking for guidance on their purchase decisions. 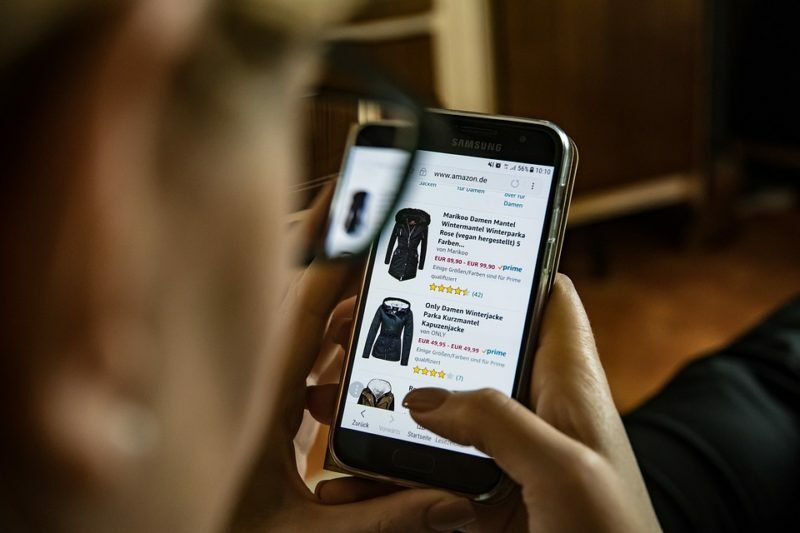 According to recent data from Pew Research, 82% of U.S. adults say they read customer reviews before making a purchase, and 40% say they “almost always” check reviews. These numbers increase for younger generations — 96% of those 18-29 check reviews at least “sometimes,” and 92% of adults 30-49 do as well. Additionally, 88% of these people say that they trust online reviews from strangers just as much as they would from their personal acquaintances. Put simply: reviews matter to consumers. They look to reviews to learn about a business based on someone’s actual experience. Since a business is not likely to disclose any shortcomings they have up-front, these reviews are consumers’ only insight into how your business truly performs for its customers. People who have been referred to a business from a positive review also have a higher likelihood of closing on a deal and making a purchase. Businesses can increase their conversion rate by focusing on strategies that help them get more online reviews. By using satisfied customers to generate more positive reviews, the business can turn what would be a personal recommendation to a close few into a referral for hundreds or thousands of people online. In the days of the Yellow Pages, finding a reliable business to suit your needs was a bit of a gamble. You had to rely on luck and a touch of instinct to find a business that could fulfill your objectives. Now, thanks to online reviews, people can determine the quality of a business at the same time they discover what businesses are available. A local Google search for a “Mercedes dealership near Cityville” returns not just possible options but also user ratings logged right by the search engine listing. Instead of guessing which business they should go to, consumers can look to the stars for guidance. 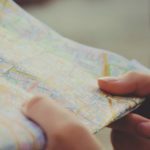 Rating stars appear right by local search results, so someone can quickly identify businesses that have satisfied customers as well as ones that fail to meet customer expectations. A quick search on sites like Yelp or Facebook is likely to yield further reviews like these. Are these ratings accurate for your business, though? They may not be. Having just one dissatisfied customer is undesirable, but if they are 50% or 100% of your existing online reviews, they make your business look far worse than it actually is. Ensuring that reviews accurately reflect customer experience means getting happy customers to be more vocal. 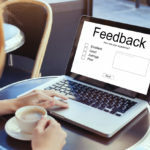 Since these customers are less likely to share their experience compared to an angry customer, businesses need a strategy for encouraging reviews with every interaction. Increasing your volume of positive reviews will not happen overnight. Instead, you have to consider it an ongoing duty. You want positive reviews rolling in consistently so that your score can stay as close to five stars or 100% as possible. 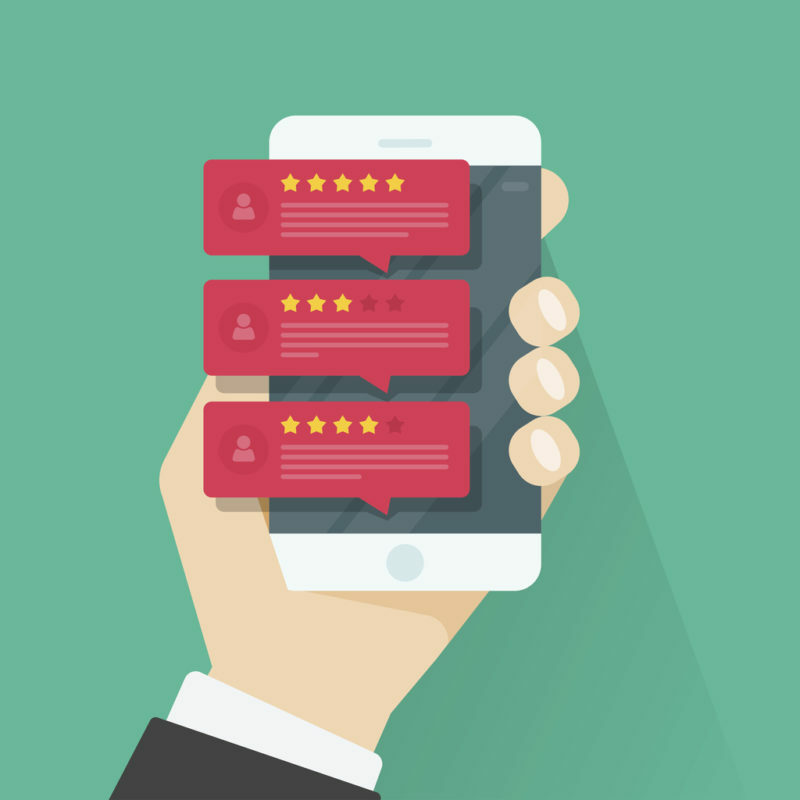 Platforms like Google Search prefer fresh, recent reviews to indicate the current customer experience. Additionally, having a higher volume of positive reviews reduces the impact each negative review has. If you have nine five-star reviews and a single one-star review, your score just became 4.6. However, if you have 100 five-star reviews and a single one-star, it stays at 4.9. Get in the habit of sending a link to your preferred review sites to all customers through automated email and/or social media messages. They need something to click on and a distinct reminder. Otherwise, they may never submit a review. Action Item: Create a “Thank You for Your Business!” email template that includes a link to your Google My Business review page. Communicate to all satisfied customers the importance of documenting their experience through a review. If someone has a positive mention of you online or says something nice in person, ask for a review! Action Item: Determine your 10 most loyal clients/customers and reach out to them via email or Facebook message to ask them for a favor. See if they are willing to share a quick recap of their experience and include the link to your preferred review site. Add “Review us on Google and Yelp!” signage to your physical store and consider handing out business cards with QR codes linking to your review page. Action Item: Identify a prominent place to display a “Your Opinion Matters to Us!” sign and begin thinking of professional-looking design options. Handle all negative reviews delicately. Try to contact the person to find out ways to resolve the issue to their satisfaction. Never bully them! The intended outcome is to right a wrong, not strongarm someone into changing their opinion. Action Item: Look on your Google My Business or Yelp page and identify your worst review within the past two to three months. Try to contact that person, apologize for their experience and offer them a strong incentive to be a return customer. Audit reviews regularly to determine action items for improvement and to recognize business offerings that add value to customer experience. Train employees based on your insights. Action Item: Sift through your past 10-20 reviews and identify three recurring positives and three recurring negatives about your business. 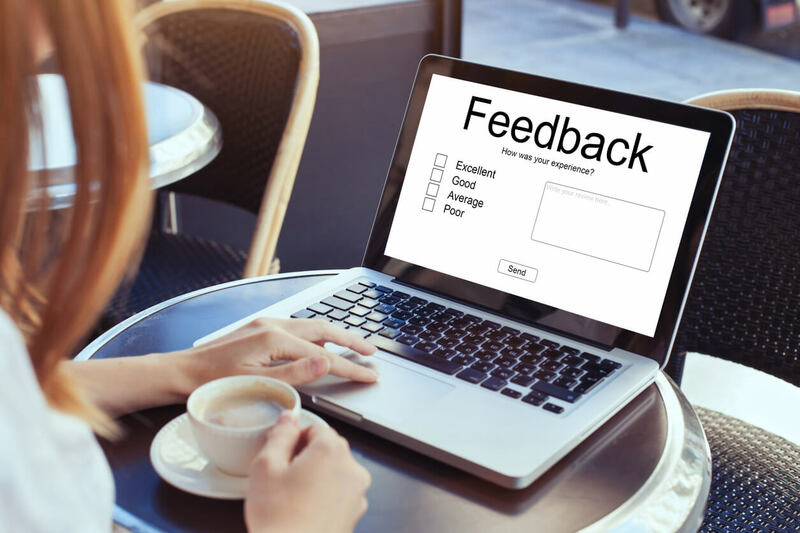 Create a quick survey through services like Google Forms or Survey Monkey to get more granular feedback on what specific areas of your business people like and what they don’t. You can incentivize survey completions by offering a discount, and give respondents the option to stay anonymous. Action Item: Create a first draft of your survey using the Google Forms option on the Drive connected to your business email. Ask an employee to test it for clear wording and ease-of-completion. Set goals for increasing positive feedback on certain business areas and reducing negative feedback. You can’t truly strategize unless you have a target to aim for. Action Item: Using one of your recurring negatives from reviews, make a goal to reduce its impact along with an action that can help you reach that goal. Example: “They always get orders wrong!” — Speak to employees and say that your goal is to have zero wrong order complaints this week. Instruct food runners to review plating and tickets before bringing food to customers. 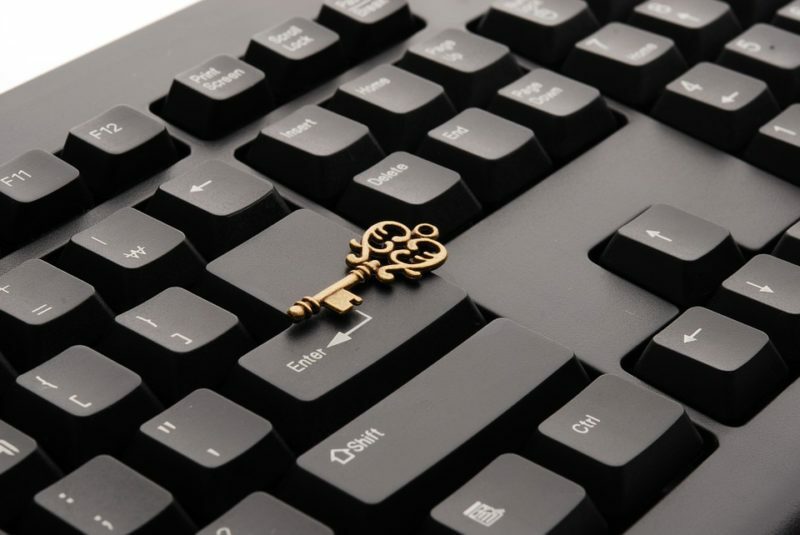 Through practices like these, you can begin to incorporate reviews within your overall business strategy and develop a rock-solid reputation online. As you do, expect more happy customers to flow in than you’ve ever had before — all thanks to the power of the new word of mouth! Jill is the founder of Optimized Scribes and is responsible for our client’s marketing strategies. When not juggling work and kids, she enjoys making rugs, tackling DIY projects, canoeing and hiking with Jamie and the dogs. Jill is the founder of Optimized Scribes and is responsible for our client's marketing strategies. When not juggling work and kids, she enjoys making rugs, tackling DIY projects, canoeing and hiking with Jamie and the dogs.